Twenty-nine Kms. 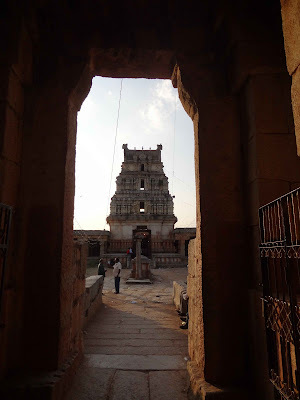 from Kolar, is Mulbagal, a popular tourist stopover, enroute Tirupati. 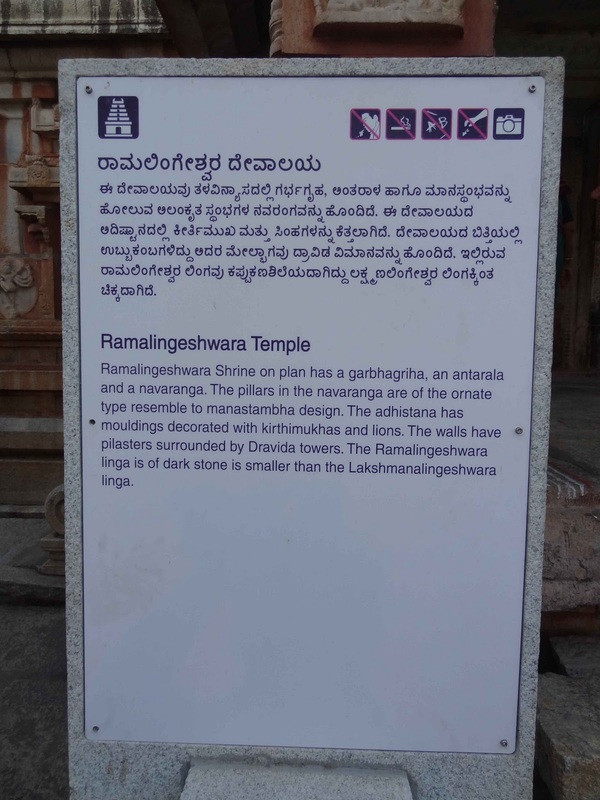 The Anjaneya temple and the Someshwara temple, with its exquisite bronze icon of the Dancing Nataraja, of the Vijayanagar period are a great draw. The tomb of Haider Oulia, a great muslim saint and 13 Kms. away, the tomb of the 15th Century Madhwa saint, Shripadaraya are also popular spots. 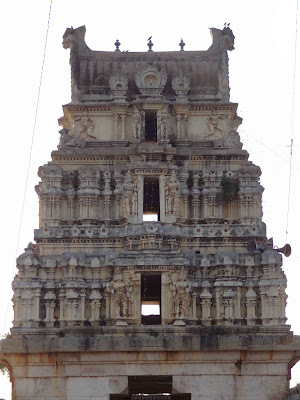 Mulbagal is in Kolar district of Karnataka state in India. It ‘s about 100 km from Bangalore and 30 km from Kolar on the Bangalore-Chennai National Highway. 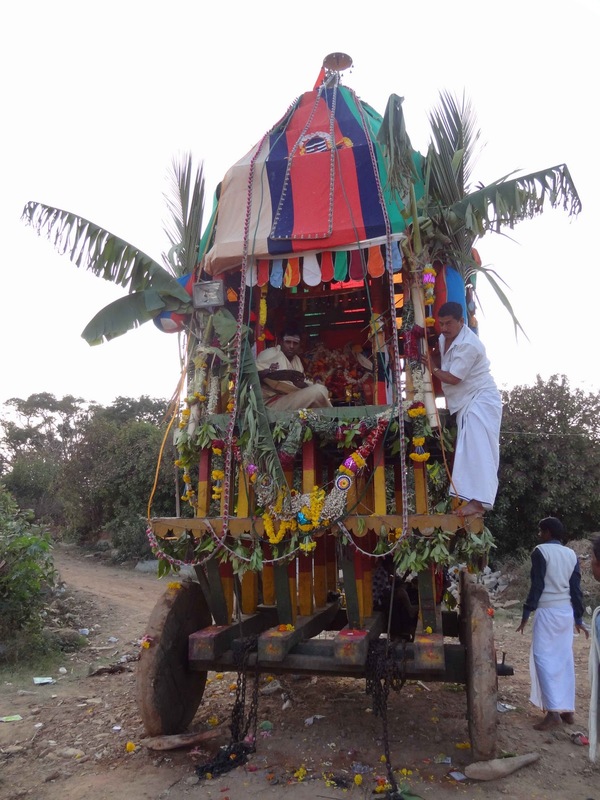 Also, it’s one of the taluks in Kolar district. 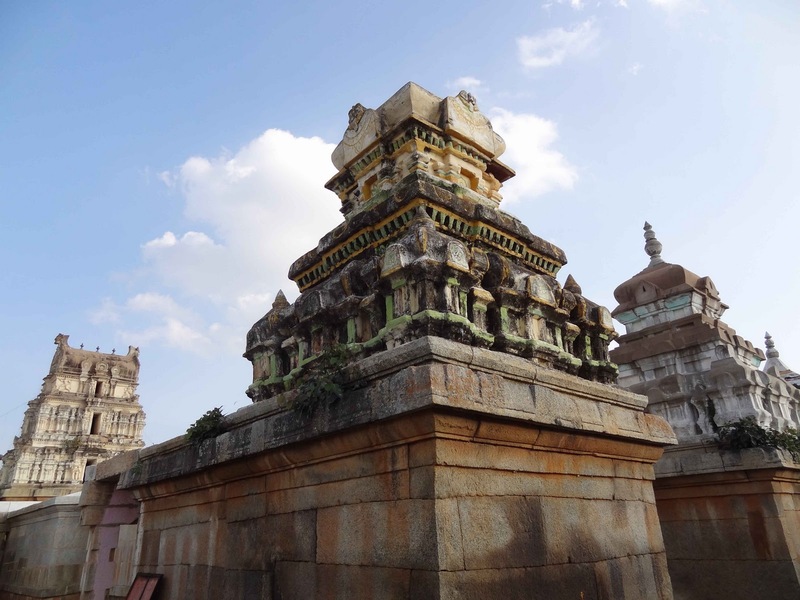 Mulbagal was originally called Mudalabagilu, meaning ‘eastern entrance’ as it was the gateway to the erstwhile Mysore state in the Vijayanagara kingdom. 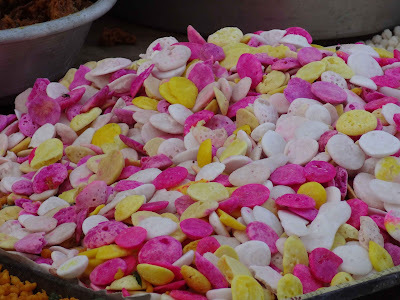 Later on, it became Mulubagilu, and finally Mulbagal. 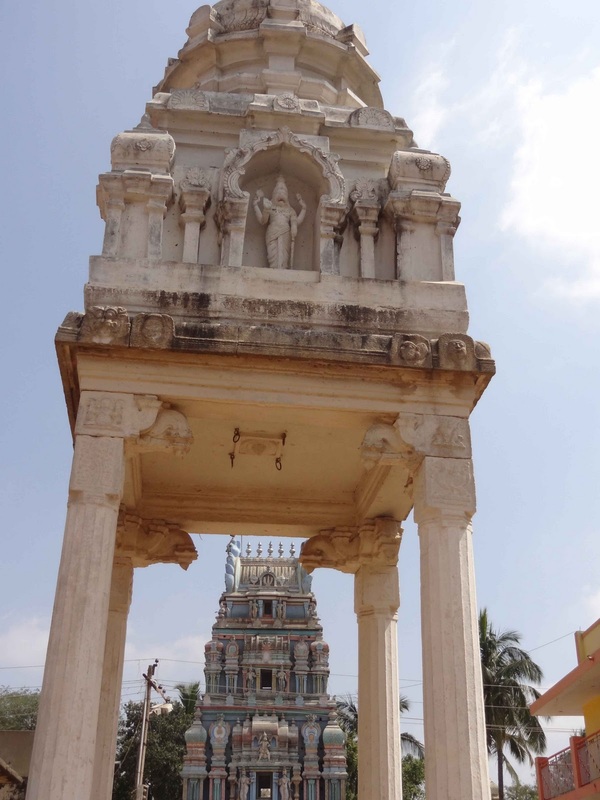 Mulbagal is a temple town. It has several must-see ancient temples. 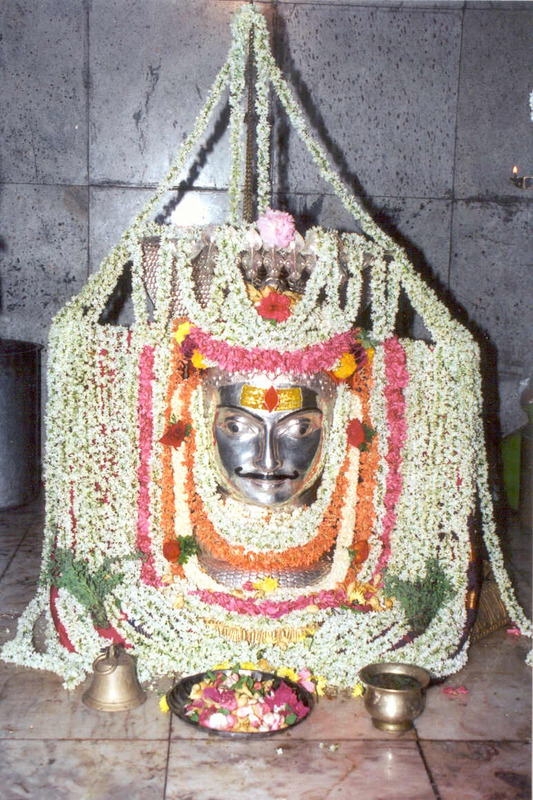 Among them are: Anjaneya temple - The Anjaneya idol here is very high believed to have been installed by Arjuna after Mahabharata war as a mark of respect to Hanuman, who was the symbol of his flag (Hanuman dhwaja) on the chariot. Later, the temple was renovated and enlarged by Raja Todar Mal who was the finance minister in Akbar’s court. 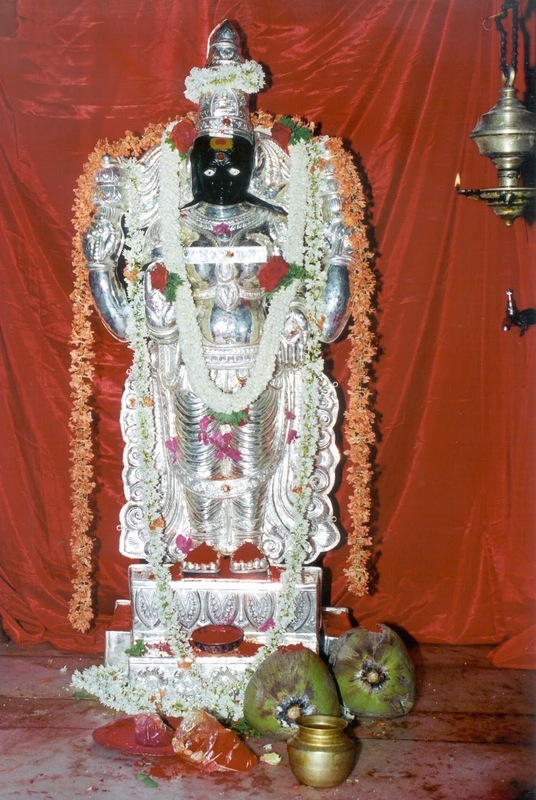 Todar Mal’s statue is in the temple.The temple also houses the deities of Srinivasa, Padmavathi, and Rama-Sita-Lakshmana. 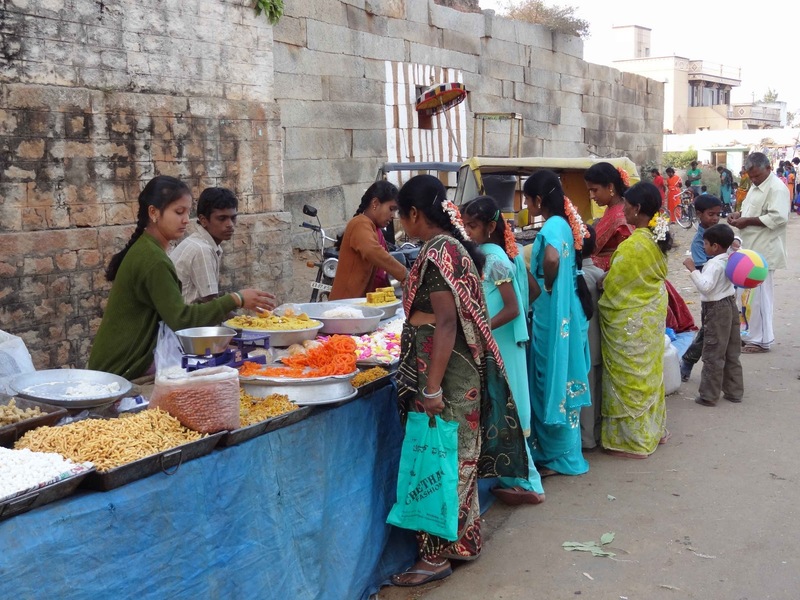 It has now become a custom for the pilgrims going to Tirupati to get down at Mulbagal, visit Anjaneya, and then proceed. 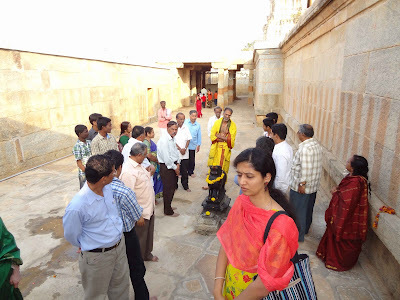 Someswara temple - Another ancient temple having mythological importance. 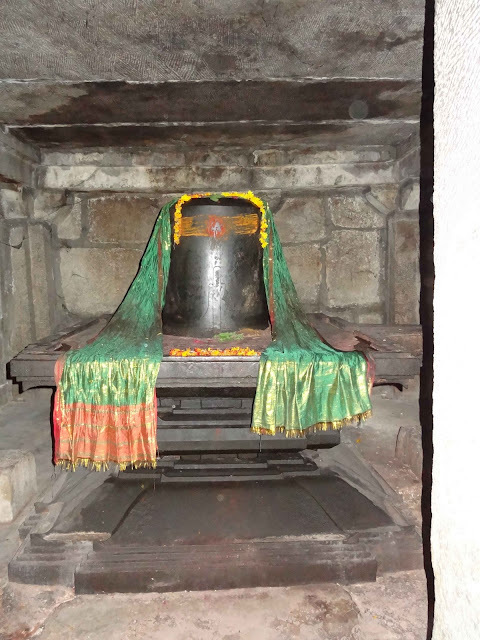 The Shiva linga here, it is said, is similar to the one in Varanasi. Vittaleswara temple - Dedicated to Vishnu, this is also a very old temple with a tall gopura (tower) and vast kalyani (pond). The Vishnu idol here resembles Panduranga Vittala of Pandharpur in Maharashtra. Mulbagal housing temples to Someshwara dating back to the Vijayanagar period. 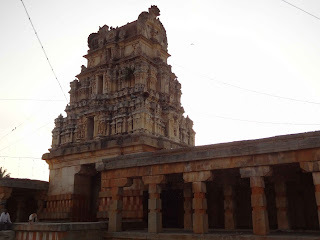 Virupakshapura near Mulbagal bears the Virupaksha temple again in the Vijayanagar style. Avani near Mulbagal is known as the Gaya of the south and it bears a cluster of temples known as the Rameshwara, Lakshmaneshwara, Bharateshwara and Shatrugneshwara, dating back to the period of the Nolamba dynasty. 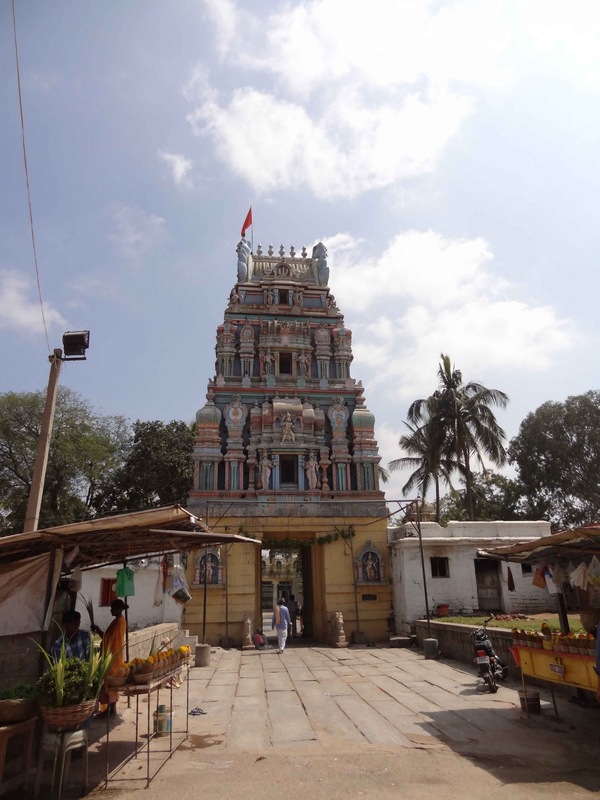 Apart from the famous Hanuman temple, this town has Someswara' temple dedicated to Lord Shiva. The Shiva linga here is similar to that at sacred Kashi or Varanasi. Someshwara Temple – history The temple was built by the Cholas who ruled this region in the 11th century who were then dethroned by the Chalukyas. 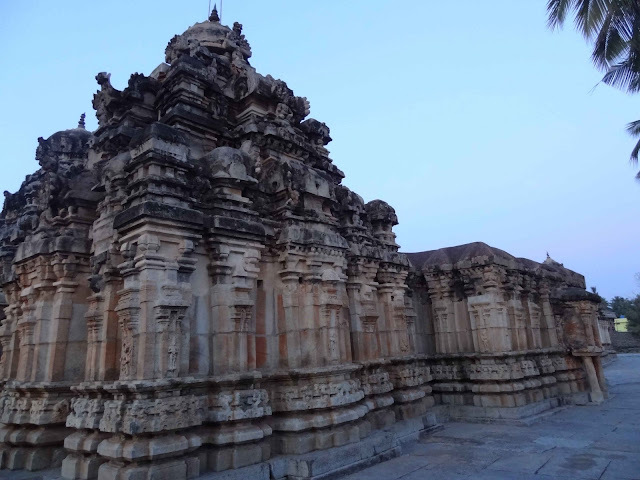 The temple was later expanded by the Vijayanagara Empire and is a fine example of the Vijayanagara style of architecture. 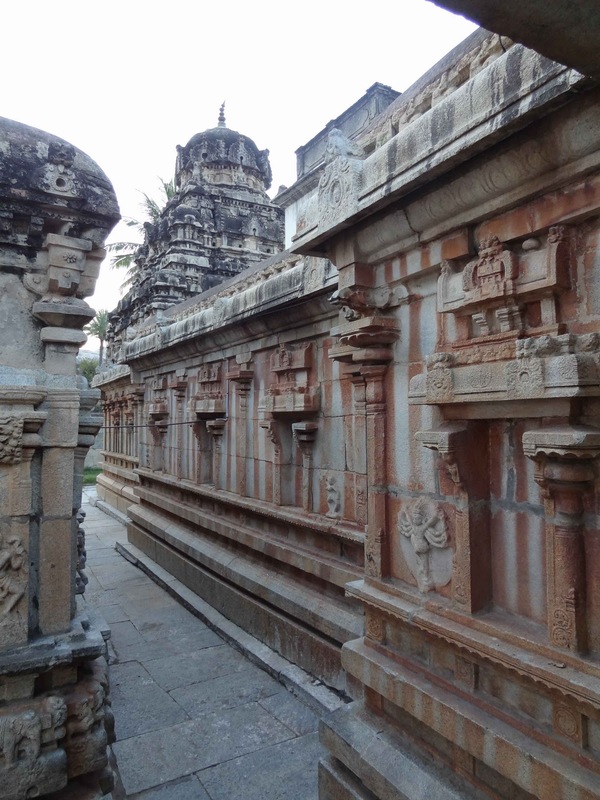 The carvings on the inner pillars of the temple have an international connection which depicts the importance and value of trade to the King. 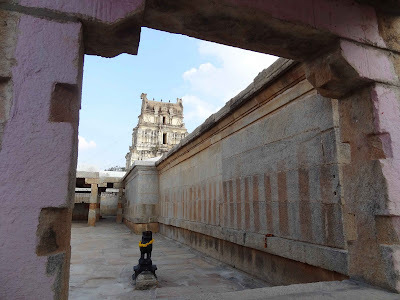 Someshwara Temple- architecture The temple is every architect's delight considering the beauty of Dravidian architecture. The huge gopura on the entrance stands testimony to the hand of the Cholas in the construction of this temple. 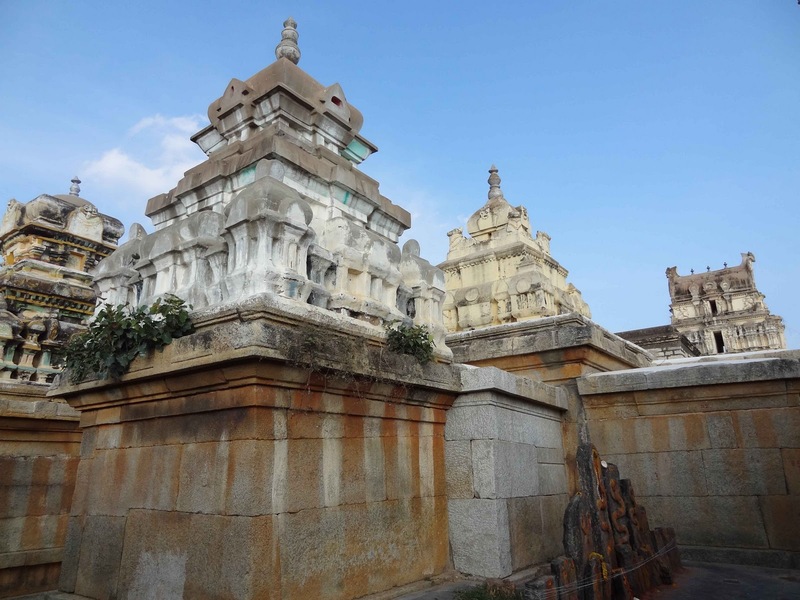 The temple has heavy Prakara walls, a Kalyana Mantapa (Wedding hall), a Mukha Mandapa with massive pillars, a Vasantha Mantapa (Marriage Podium) and a shrine forgoddess Parvati Devi. 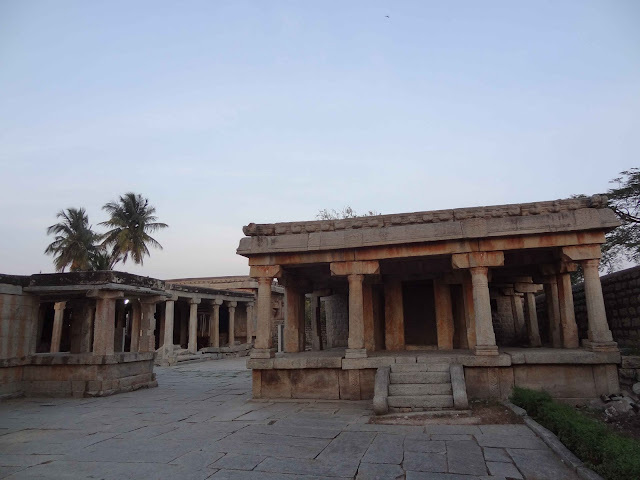 The Kalyana Mandapa has 64 - 16 sided pillars, a few depicting men, riding horses and others represent mythological stories. The carvings on the pillars bear influence of the European, Chinese and Thai style. Kshetra Palaka Sri Anjaneya Temple at Mulbagilu Bus stand, being tired after war Arjuna went on pilgrimage and bought his flag used during war consisting of Vayu Putra image and established in Mulabagal then called shathaka vatipuri. 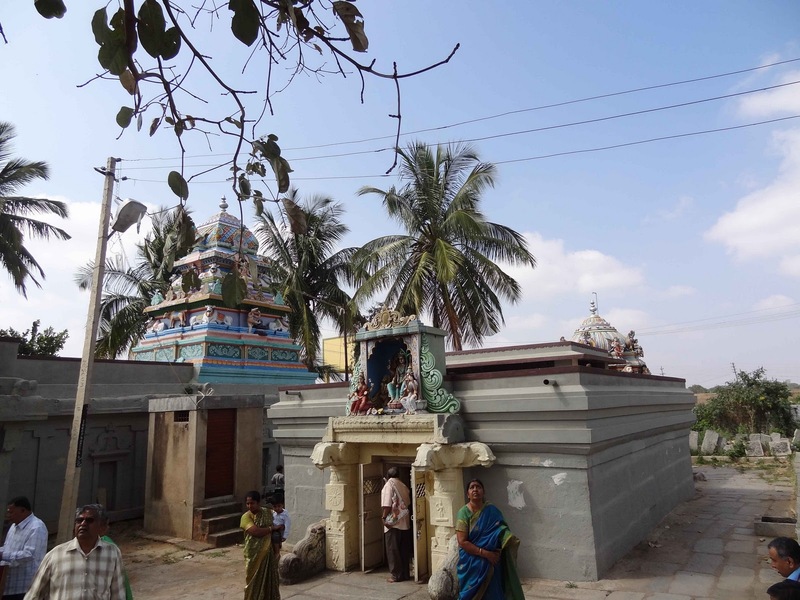 Temple has been renovated recently by Hiranya gowda from USA native of Chamareddy palli a village near mulbagal. The Shiva linga here is similar to that at sacred Kashi or Varanasi.Legend says childless can pray for child by making pradhakshinas Virupakshi Sri Virupaksheshwara Swamy Temple is also located in Virupakshi Village about 4 kilometres from Mulbagal. 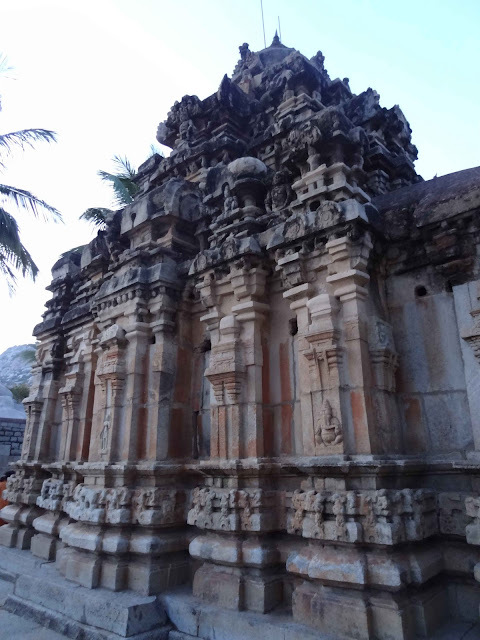 This temple was built in the 13th century by Vijayanagara Rulers and resembles the Virupaksheshwara Temple in Hampi. 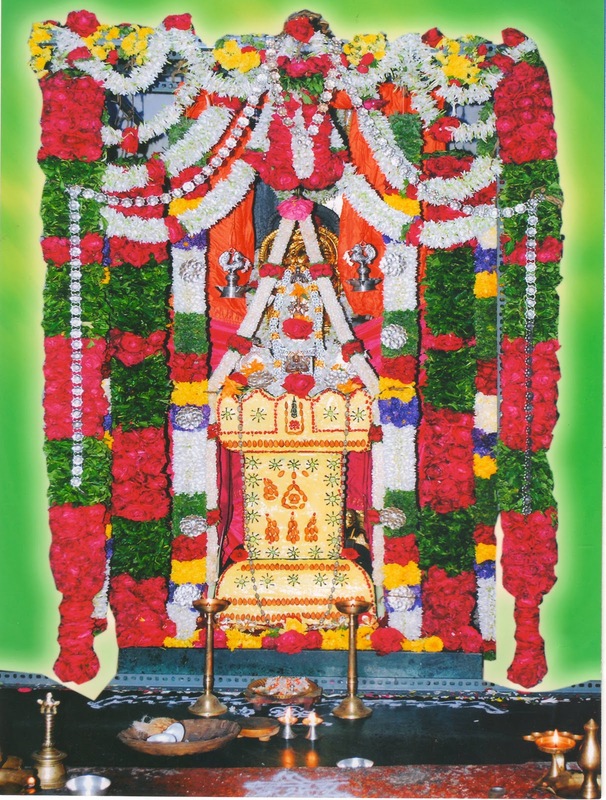 The pooja performances at this temple has been done by Agastya Gothra's Sri V.A. Subramanya Deekshit and Sons. This is the only family that has been doing the pooja here since the temple was constructed and dates back to about 8 generations. Known as the Gaya of the south, Avani has a cluster of Ramalingeshwara temple all within one courtyard dedicated to Lakshmana, Bharata and Shatrugna as well as a Shankar Math built by the Nolamba Dynasty. Legend has it, that the hill above was home to Valmiki’s ashram, where Lava & Kusha were born and raised. 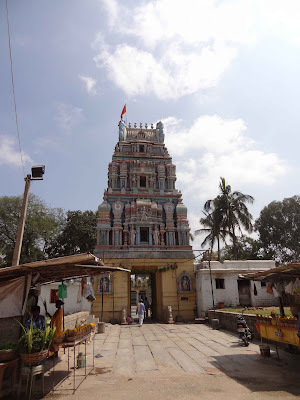 Avani is famous for the Sita temple situated on a hill. 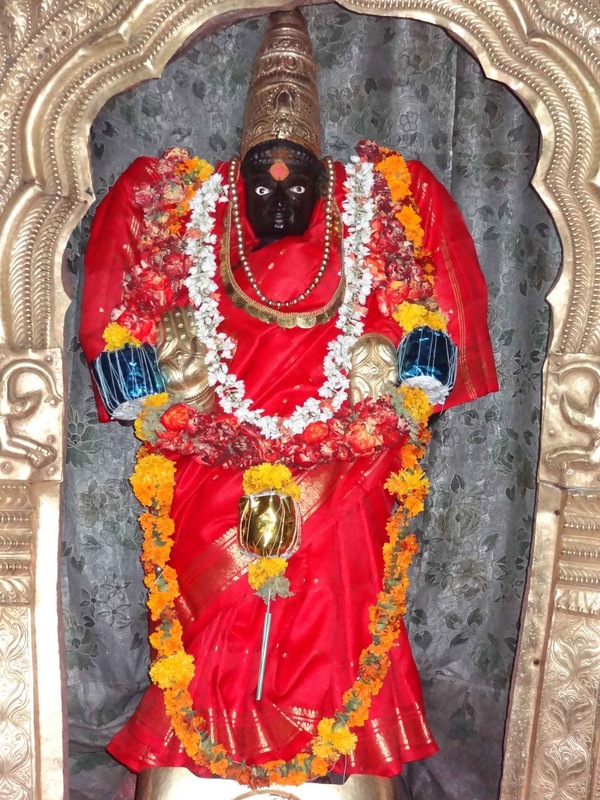 This temple is one of the few temples dedicated to Sitadevi in India. 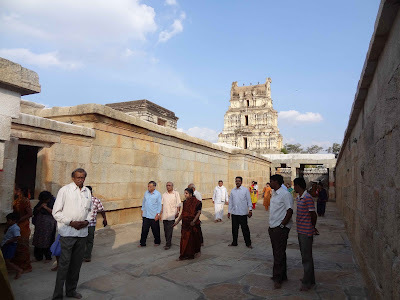 It is also known as the Gaya of the south and has ancient temples known as the Ramalingeshwara, Lakshmaneshwara, Bharateshwara and Shatrugneshwara, dating back to the period of the Nolamba Dynasty. 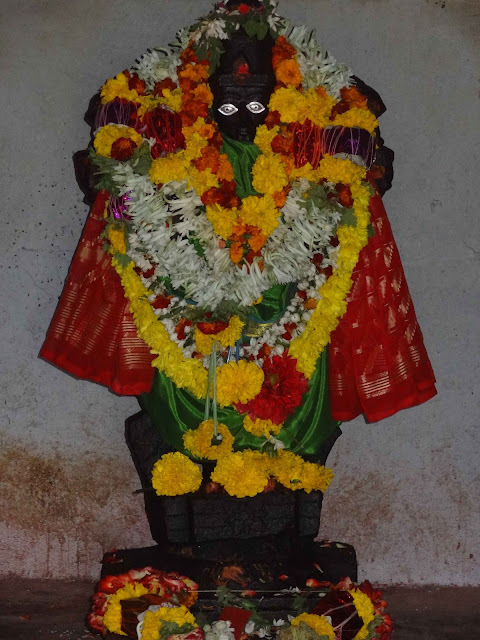 It has been told that Sitadevi gave birth to her twin children Lava-Kusha here. 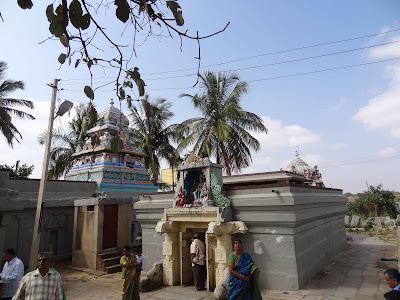 Even today the room where Sita gave birth to her children exists.The war between Sri Rama and his sons Lava & Kusha was happened in this village. 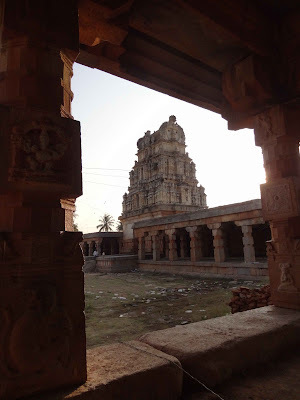 The place is very near (About 9 km)to Mulabaagilu (Taluk head quarters) in Kolar District. When Sri Narasimha Bharati IV of the Sringeri Sharada Peetham was on his sancharas', he camped here for a few days. During his stay here, in Avani, he found an idol of Goddess Shrada, in standing posture flanked by Srimajjagadguru Shankaracharya and the Sri Chakra. He consecrated this idol here and established a new Matha and installed one of his shisyas as the head of the new Matha. 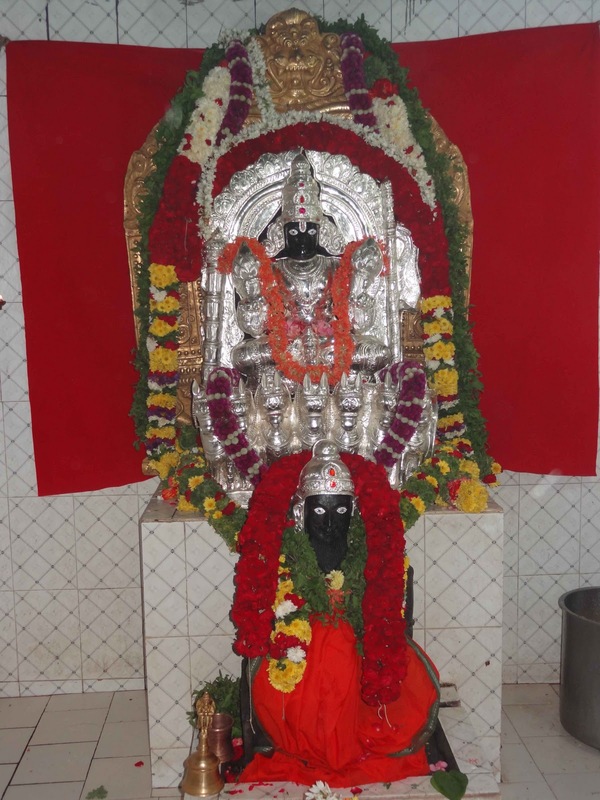 This matha is now known as Avani Sringeri Jagadguru Shankaracharya Sharada Peetham. 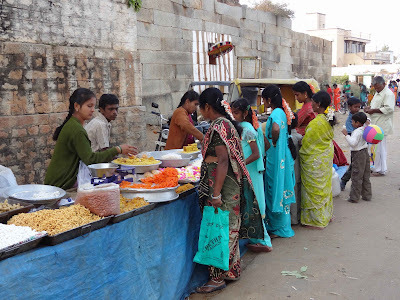 There is a branch of this matha in Basaweshwaranagar in Bangalore. There is also a belief that the sage Valmiki, Was residing here during the period of Ramayana in AVani. 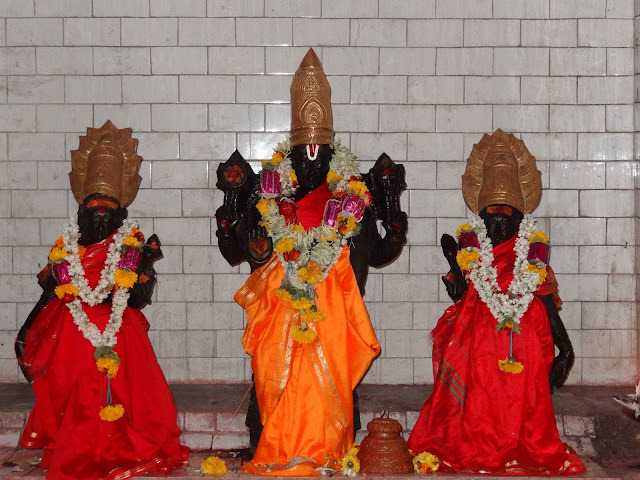 He was author of the epic Ramayana, based on the attribution in the text of the epic itself. 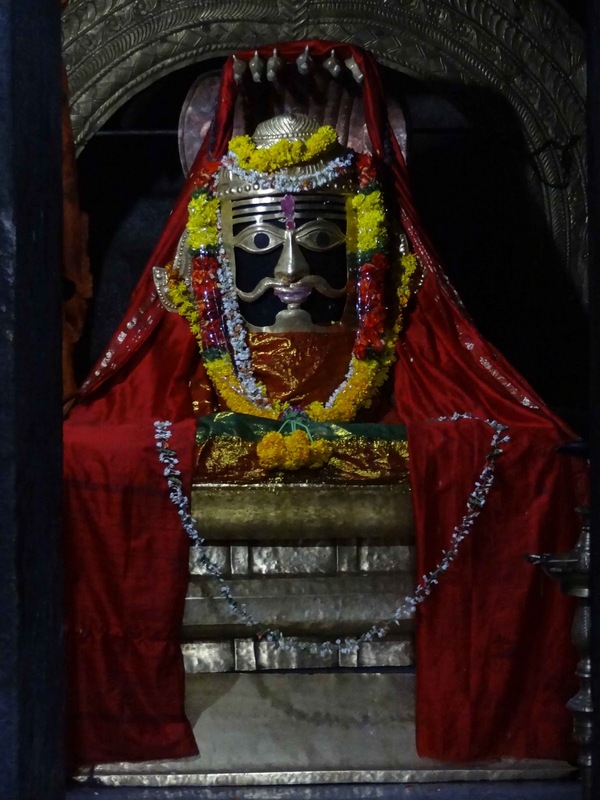 He is revered as the Adi Kavi, which means First Poet, for he discovered the first sloka i.e. first verse, which set the base and defined the form to Sanskrit poetry. The Yoga Vasistha is attributed to him. The religious movement Valmikism is based on Valmiki's teachings as presented in the Ramayana and the Yoga Vasistha. 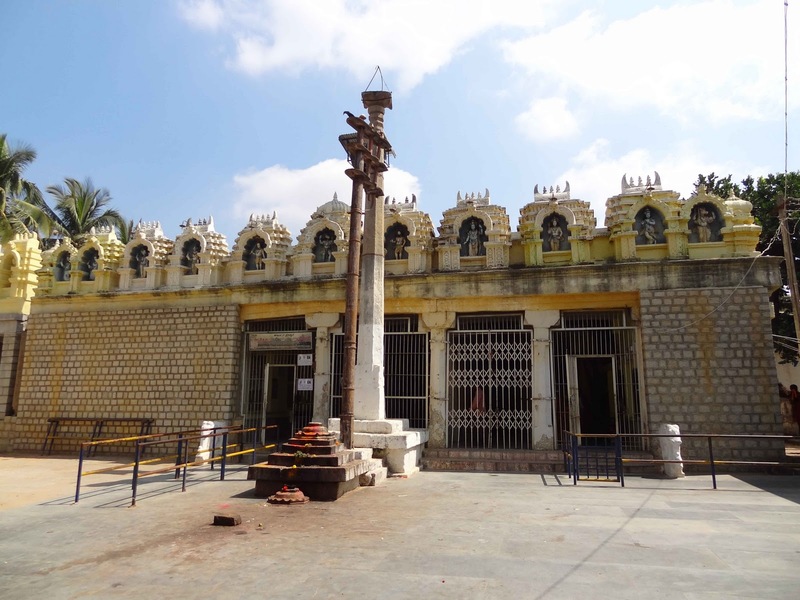 And also believed the Nayak or Nayaka caste [in Karnataka and Andhra Pradesh] was originated from Valmiki. 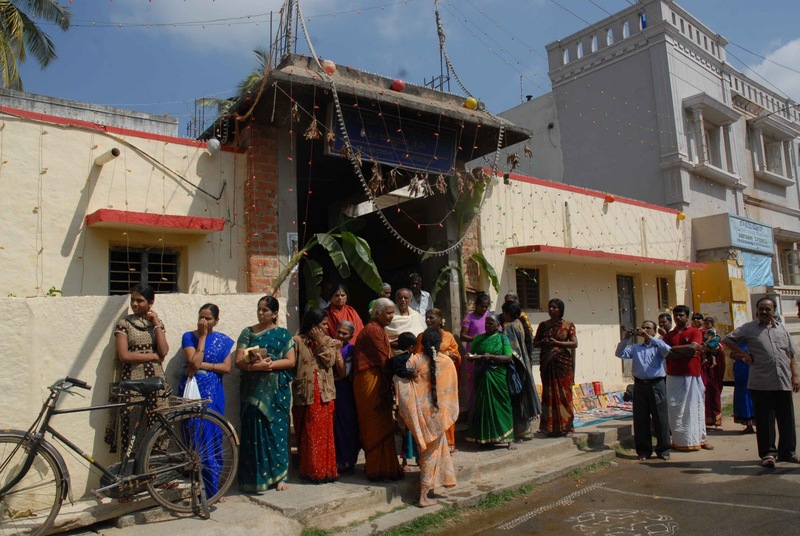 These Nayaka community people is planning to start education center, Ashrama at Avani, planned was done. The boy name Avani is of Sanskrit origin and its meaning is "earth". It is a not a Hindi name. It is perfectly a Sanskrit word and Sita was also called Avanisuta meaning 'Daughter of Earth' as the legend goes that she was found while ploughing the earth. 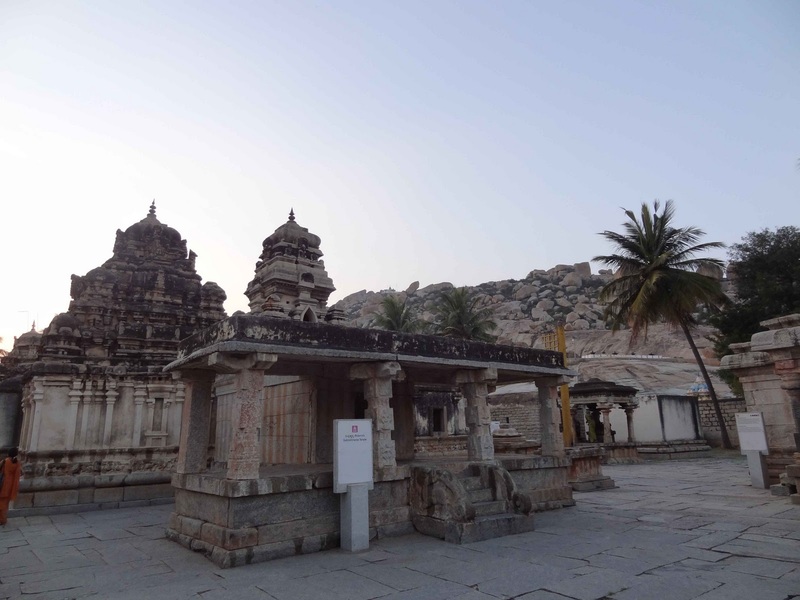 This hill said to be one of the place where Rama, Sita and Lakshmana stayed during their 14 years exile from Ayoudha. Legend says that on this hill Sitha gave birth to Lavaa and Kusha. Hence the name Lavaa Kusha Betta/Hill. From the ground the boulder fill hill gives a feel that stones are balanced in the air, the alignment is amazing and looks like somebody went there and decorated the stones like that. You have to trek to the top there Sitha devi temple is located, from there you can see a bird eye view of the surrounding area. After you start trekking, you will find a little pleat kind of place which will give a feel that you have reached the destination but this not the case, you have still climbing up to reach destiny. However, here you can indulge in photography and take a bit rest. 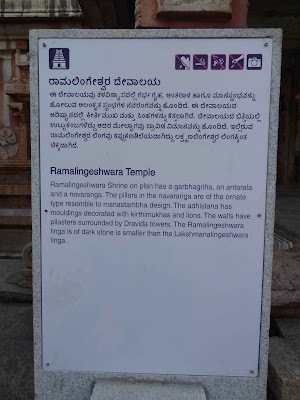 Also, here you will find Valmiki Ashrama, where he was meditated and wrote Ramayanaepic. Now again you will have trek along stone fested route to reach the top. This place seems to be a relatively unknown but we can say without any doubt it is one of the best romantic place. It is advisable to trek in early morning or late afternoon so that it is less strain and you can also enjoy sunrise or the sunset amazing views scenery. Also, the wind intensity makes one feel like, you are about to fly. Be cautious and do not venture at the edges. Also try going there in groups. Can u please provide contact details of sri surya Narayana swamy temple..